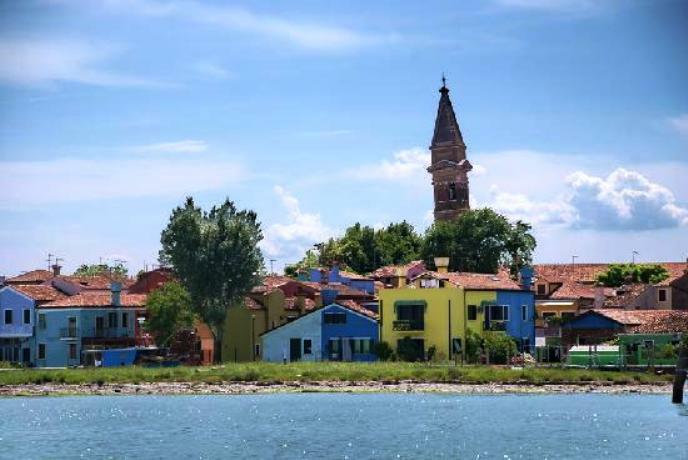 Another trip I took from Venice was to the island of Burano. 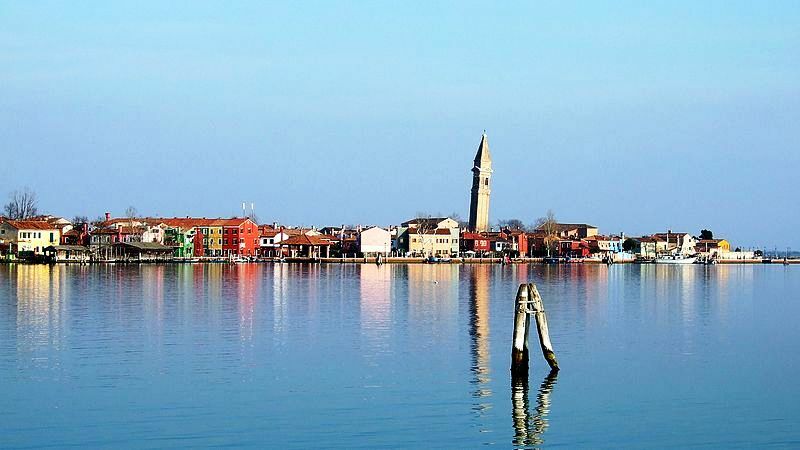 Burano is situated 7 kilometers from Venice, a short 40 minute trip by vaporetto. 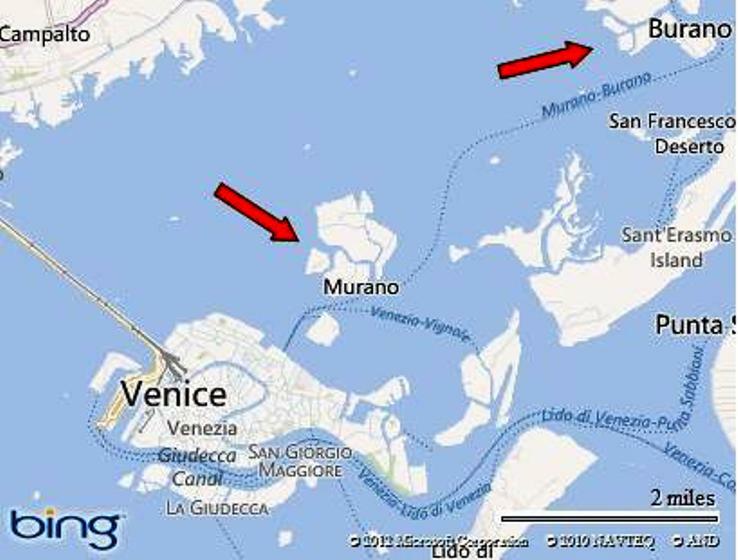 Once you leave the vaporetto, after a short walk you will arrive in the centre of the island to Piazza Galuppi. You will be encouraged to go in to the shops to see the lovely lace working. 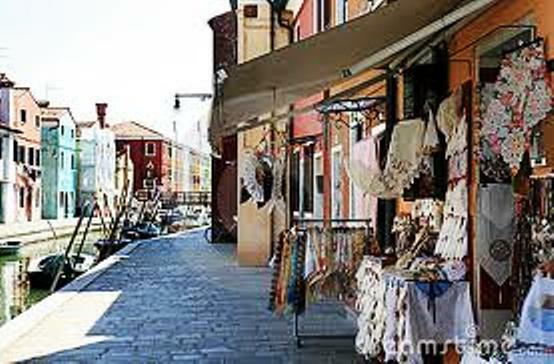 Burano is very famous for its lace. However on the island there is also production of venetian masks. Fishing is also a major industry on this island. Everywhere you look you see the little fishing boats and of course the brightly coloured houses. 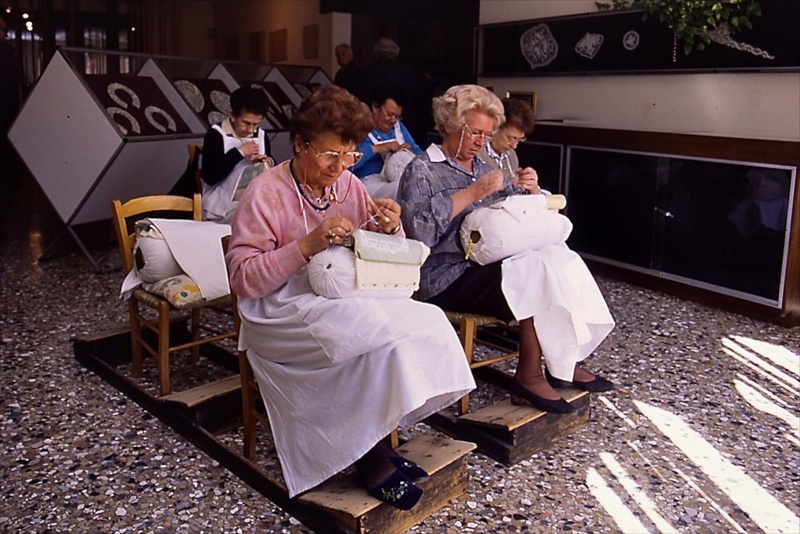 In the main square you will see the elderly ladies laughing and chatting while they do their embroideries. 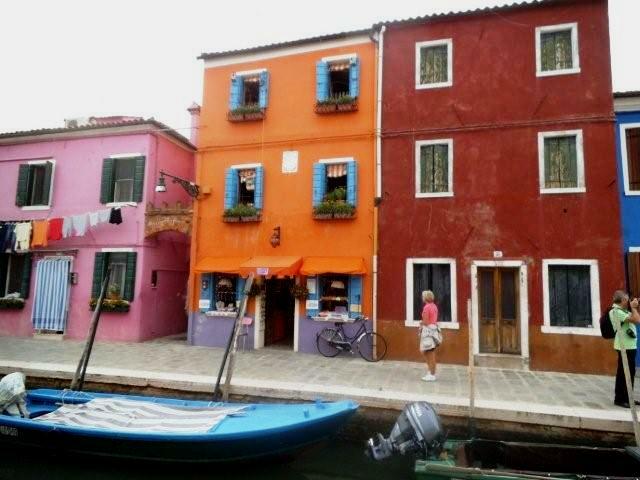 There are many colorful houses to see in Burano. Every color of the rainbow is represented. The village is quiet and peaceful. 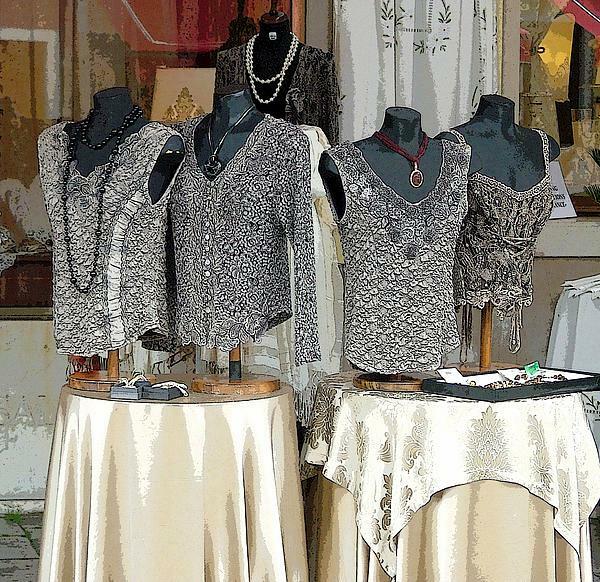 Enjoy lunch or a drink and buy some lace from a local artist. 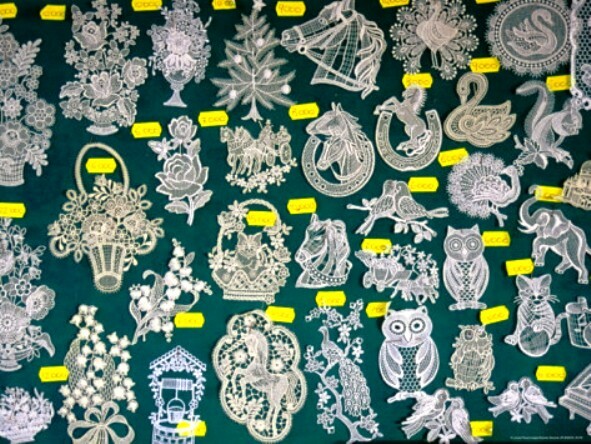 Almost every shop on this little island sells lace products. However, beware that there are many cheap foreign products, and the real stuff is quite expensive. 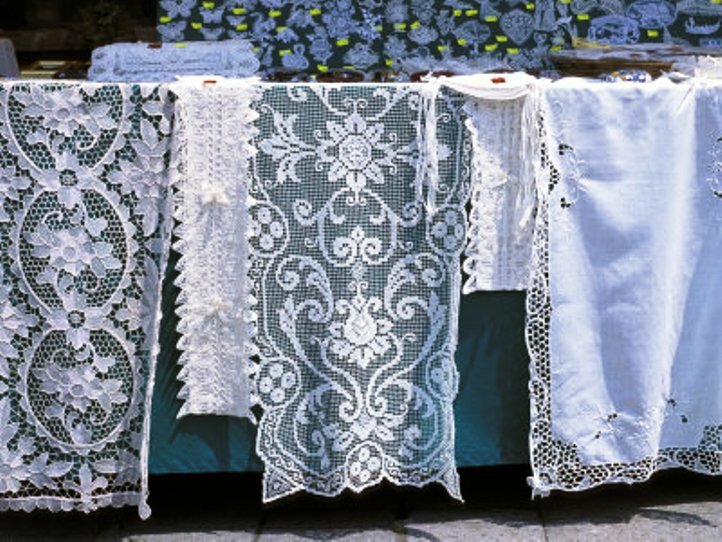 In most of the shops in Burano you can tell the hand made lacework from the machine made especially if they are side by side. The only way to get around Burano is by foot. 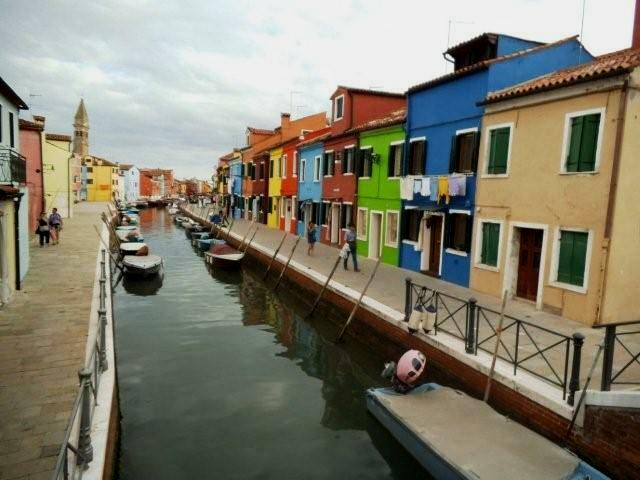 Burano is another must to visit if you have the time while staying in Venice. Haven’t been to Burano for years. Usually when I take guests to Venice (we’re not far away) I’m quite lazy and spend the day bar-hopping or seeing an art exhibition. Reminds me I must make a visit before the summer tourist starts! love the picture of the ladies…. They would have a lot of chit chat as they probably need to fill long days. It is possibly all about their beautiful sons. Lyn, every time I read one of your posts, it makes me want to go there…..at this rate I will have to spend months in Italy just to fit in all your recommendations. Not a bad idea! Excellent idea. A few months every year will do the trick. I have friends who live in Italy about 6 months every year. How fabulous is that. 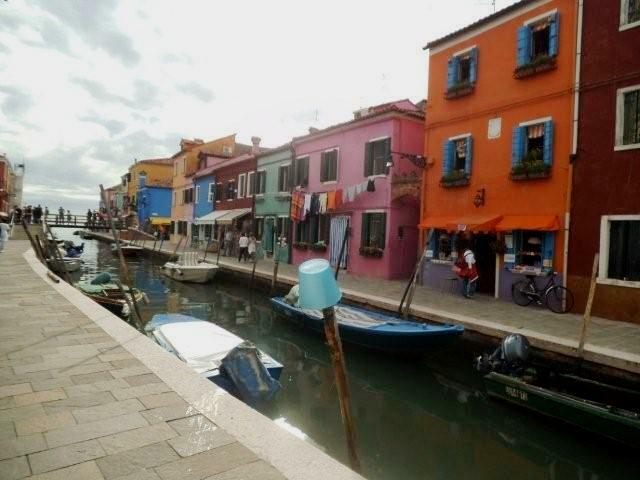 I loved Burano and bought up big. Beautiful scarf, piece of Murano glass, pendant of Murano glass. The fashion here was superb and I could have bought many pieces of clothing and I really enjoyed the handcrafts here and the colorful houses. The fish lunch we ate was enjoyable. A pleasant sojurn from the business of Venice. Your photos are vibrant and lovely. 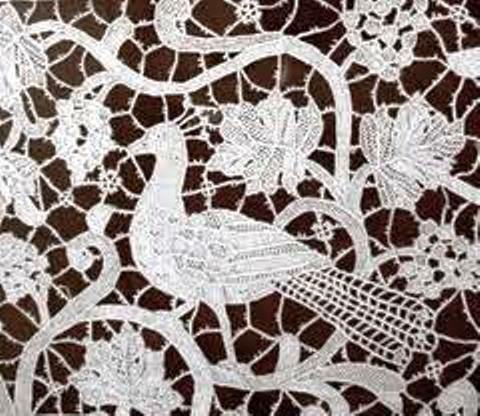 I love the lace that they make in Italy, especially the curtains. Such a pretty place to visit and the vaporetto ride is quite pleasant, would love to go back one day. Thanks Ishita. Yes, the photo of the ladies is just so real. It is like a time warp. I’ve been to Venice and Murano but did get a chance to make it to Burano. So beautiful. Will have to make it there next time.